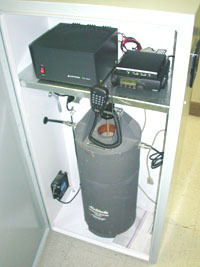 Pictured at left is the KARS (146.940 mHz) repeater system tower. This system has a tremendous coverage footprint. The repeater is a Motorola Quantar. Phone patch for member use. 911 feature direct to Kankakee County Police. Commercial generator power back-up system. The receive antennas at the top are 4-bay ASP folded dipoles at 430 feet. Transmit antennas are two 4-bay ASP folded dipoles at 325 feet fed in phase on opposing sides of the tower to ensure an omni pattern. Everyone is welcome to check in! held at the Will County Fairgrounds. 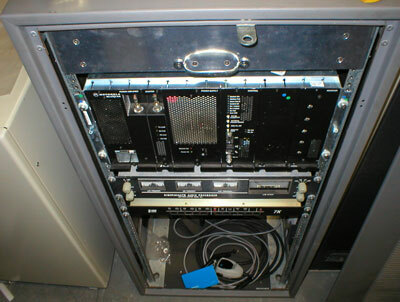 The 440 machine is a Motorola MSR 2000 UHF system. The antennas are 16-bay ASP folded dipoles at 300 feet. KARS most recent APRS Super-digipeater was purchased by KARS and installed by Clay, N9IO and Don, K9NR in Oct 2008. Located in west Kankakee, IL in the heart of Kankakee county at 300 feet W9AZ-1 gives outstanding total coverage of Kankakee county and well beyond. Equipped with a Kantronics KPC3+ ver 9.1 tnc and Yaesu FT-1500m (50 watts) into an 11" diameter bandpass cavity. 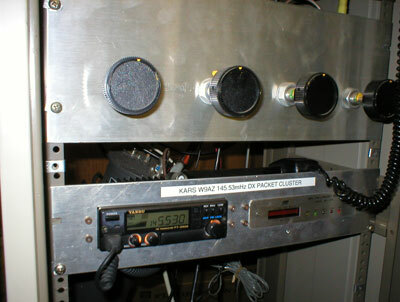 KARS original APRS Packet Radio system W9AZ-2 was purchased by KARS and put together by Gary, KA9MNX now (AI4JA), John, WD9AYI and Howard, AK9F in 2001. W9AZ-2 has been ON THE AIR since (Jan 11, 2001) from the big tower at Governors State University, operated by AK9F. Transmitting from an antenna at the 440 foot level of the tower, the signal can be heard over a very large area of Northeast Illinois and Northwest Indiana. It is about full-scale on my handheld here in Kankakee, about 26 airline miles from the tower. W9AZ-2 is running the Kantronics KPC3+ Ver 8.3 tnc and Yaesu 2m radio and 11" diameter bandpass cavity. Our appreciation goes out to Gary, KA9MNX (AI4JA) for really spear-heading the original effort in 2001 to provide this service under the KARS banner. Gary's vision has blossomed into a well organized APRS network for the entire region. Mention needs to be made to the Super-digi sponsored by our sister club to our south in Iroquois county at Watseka, IL the Iroquois County Amateur Radio Club ICARC. AD9L-1 is running the Kantronics KPC3+ Ver 8.2 tnc. Between these three super digi's our two clubs have provided solid APRS digipeater messaging and GPS positioning coverage down the I-57 corridor from Southern Cook and Will county down to northern Vermilion and Ford counties. The three also provide digi coverage down I-65 in Indiana from Lake to Newton counties. W9AZ-1 is also covering down the I-55 corridor in SW Will, Eastern Grundy and Northeastern Livingston counties. 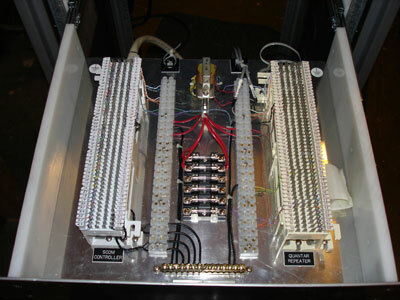 I-Gating (Internet Gate) for messaging (in to) and (out of) this RF service area is accomplished through a couple of home based 24/7 Internet connected WIDE1-1 home fill-in digi stations with different ISP's for redundancy and spaced far enough apart to avoid packet collisions that would add to local RF traffic congestion during message delivery. Clay, N9IO is currently coordinating this network of digis with the help of APRS Gurus Art, N9ZZK and Eddie, K9EEW of the Grundy County ARC. All of the digis are current with the New-N Paradigm settings set forth by APRS inventor Bob, WB4APR. Check out the APRS.org web site. The site is maintained and information kept current by WB4APR. Download the best APRS software available for Windows systems G4IDE's "UI-VIEW 32". Download SV2AGW's Packet Engine to run through your sound card instead of a TNC. The SOUND CARD PACKET Web Site by KC2RLM is by far the best informational site for the latest downloads and how to install APRS Software for use with a Sound Card. Use of AGW software is spelled out VERY WELL by KC2RLM. For the sake of simplicity and reliability KARS highly recommends UI-VIEW 32 and a TNC to your 2m radio. Running the very latest version of Windows© based AR CLUSTER©. The AR Cluster© Users Manual is local here at w9az.com - "Click Here"
W9IE, W9PA ex(W9ZRX), and K9NR. 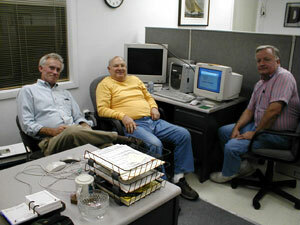 Pictured above are Ken W9IE, Dave Zeph W9PA and Don K9NR. Thanks so much Dave. We realize you have saved us weeks of experimentation to "get it right!" 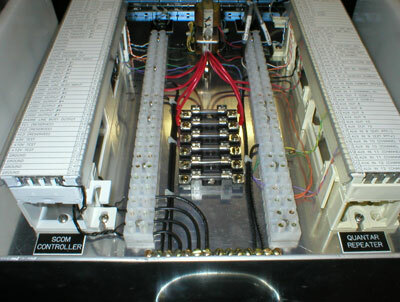 This state of the art system at 300 feet features a direct T-1 connection via high speed spread spectrum link. 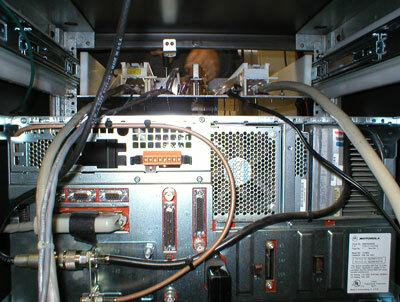 use of the W9AZ Cluster. CC User is a full featured Telnet and TNC program for use with CC Cluster , AR Cluster , DX Spider , CLX, DxNet, or WinCluster Nodes. 32 Bit Windows Program that allows "point and click" setting of node parameters. Runs under WinXP/2000 and later versions of Windows. ((( Download no longer available but Tony does support with updates listed below ))). XMLog is an amateur radio logbook system for Windows systems through Windows 7. There is no charge for using XMLog and no limitation on its non-commercial distribution. Permission to distribute XMLog for profit is prohibited. WriteLog for Windows combines the convenience and ease of use of Windows with the performance and features required by the top contest operators. No other package matches WriteLog’s support for CW, Phone and RTTY contesting. Order Writelog for Windows at the http://writelog.com/ web site, click Ordering. The N1MM Logger is a freeware program designed to do contest logging and some general logging. It is not a general logging program with award tracking etc. but is mainly a contest logging program. Check out N1MM's features at the http://www.n1mm.com/ web site.